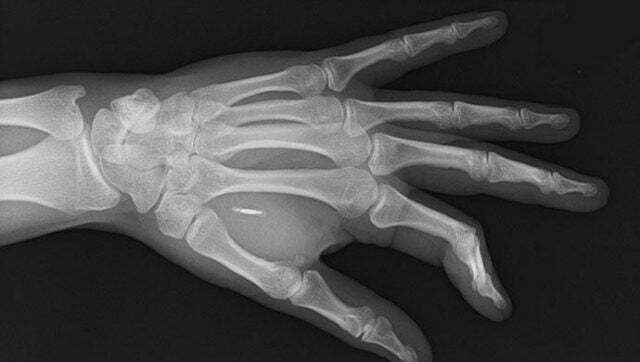 We descended into a new circle of the technological underworld last week, as it emerged that British companies were considering implanting their staff with microchips, ostensibly to improve security. What Do Employee Microchips Track? At the moment, it seems that BioTeq and Biohax’s microchips are less concerned with tracking, and more concerned with convenience and security. For example, the chips will open locked office doors. This seems innocent enough. But, naturally, leaves one to wonder whether the chip can also track how often employees leave and enter the office, or how long they take on cigarette or toilet breaks. Of course, this information could be garnered in many offices at the moment via employee lanyards or even from simply monitoring CCTV feeds. Which, of course, makes you wonder why any of this microchipping is actually necessary. It’s difficult to strike the balance between technophobia and techno-utopianism when looking at microchipping and similar developments. However, the idea of physically installing a device in an employee seems an unnecessary step for just the sake of convenience. It stands to reason that there would have to be a profit motive for companies to pay for installing chips in their employees. Which Companies are Considering Microchipping Employees? Details, at the moment, are scarce on which companies have actually offered microchipping to their employees. However, some firms have been revealed in the Guardian. Wisconsin-based workplace vending machine company Three Square Market offered Biohax’s microchipping to its employees on a voluntary basis. And, in August, around one-third of the company’s 250 staff had taken up the offer, using the chips to access the office or pay for snacks. Biohax is also working with Swedish state-owned rail company, Statens Järnvägar, to give customers the option for microchips instead of traditional train tickets. All of BioTeq’s executives have, perhaps unsurprisingly, been microchipped. BioTeq’s founder, Steven Northam, told the Guardian that some financial and engineering firms have given their employees the microchips, but didn’t specify. Biohax spoke to the Sunday Telegraph and told the paper it was in discussion with several British legal and financial firms about microchipping staff. The Guardian followed-up on this statement, asking four of the biggest accountancy and legal firms in Britain whether they were considering making cyborgs of their employees. KPMG, EY and PwC all maintained that they would not consider microchipping staff. Deloitte, however, noticeably declined to comment. We’ve already mentioned some of the concerns raised about companies, even voluntarily, offering microchipping to their employees. 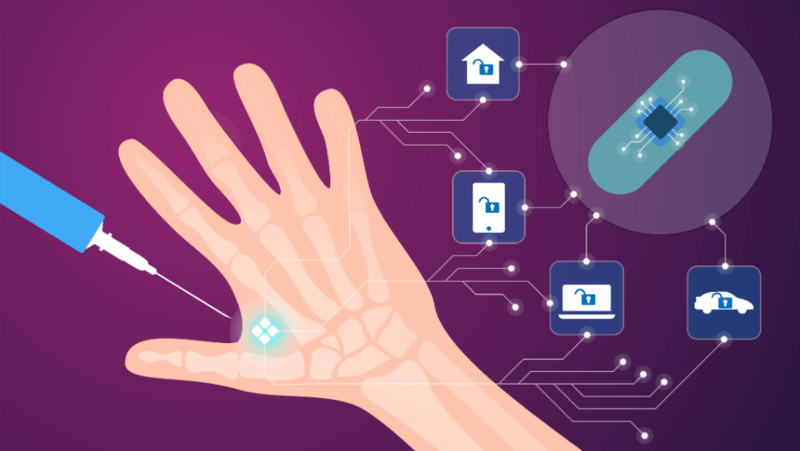 However, while the services offered by companies such as Biohax and BioTeq are aimed at white collar office workers with a promise of convenience, blue collar workers face a much greater threat from microchipping. Companies such as Amazon have been criticized for the intense performance-monitoring of its warehouse and delivery staff through apps and handheld barcode scanners. These tools are used to create unrealistic performance targets and result in employees being denied basic workplace rights, such as regular toilet breaks. The prospect of physically implanting a device in an employee in this kind of role could give companies an unparalleled ability to coerce and pressure their staff into working in unreasonable conditions. These companies would be able to ascertain everything from how quickly staff are walking to different locations to pick up products, to how quickly they return from break periods. Automation is coming for low-skill manual jobs as companies continuously drive for efficiency. However, humans are not machines and should not be pressured into the same efficiency drive. These companies already exploit these employees with zero-hours contracts, harsh and unnecessary disciplinary procedures and deliberately confusing legal status to limit company obligations and employee rights, as well as regular union-bashing. Such technology has the potential to lead to further exploitation of these workers, and serious action needs to be taken by lawmakers to regulate the future use of microchipping.